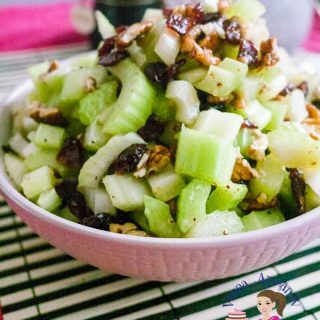 This simple and easy celery salad recipe is packed full of nutrition. Celery is a juicy vegetable and has a wonderful crunch that makes eating salad so refreshing and fun. 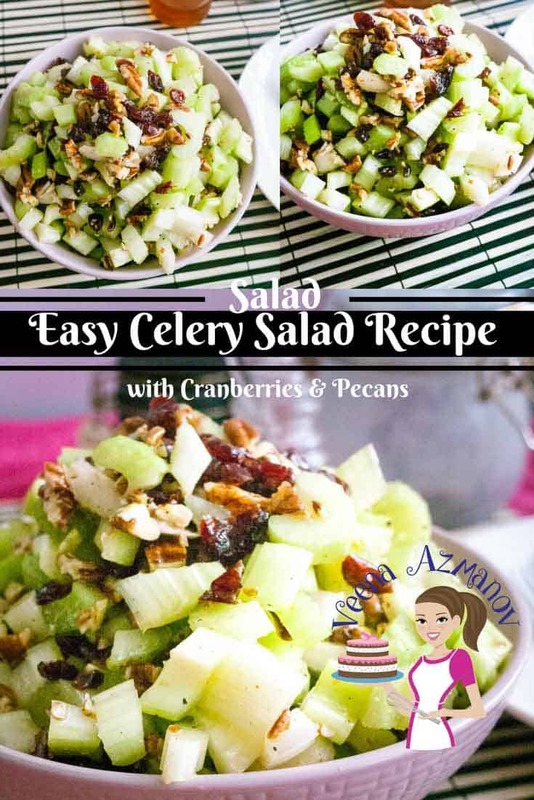 Adding a bit of cranberry and pecan and you have a side dish everyone will crave. It’s almost summer here so the grocer has been bringing in some really amazing summer vegetables and fruits. I thought we’d have to wait a while more for peaches and watermelons but they are already in. Celery and leeks taste best in these months. Sweet, juicy and bursting with freshness. I love making celery salad and leek patties in these months. Absolutely the best. I really think the best way to get everyone to eat salad is to keep it simple and fresh. A simple salad dressing can make a huge difference. This is by far the most simple and easy celery salad recipe you will find. With barely few ingredients. What you really need is the fresh good produce of celery. 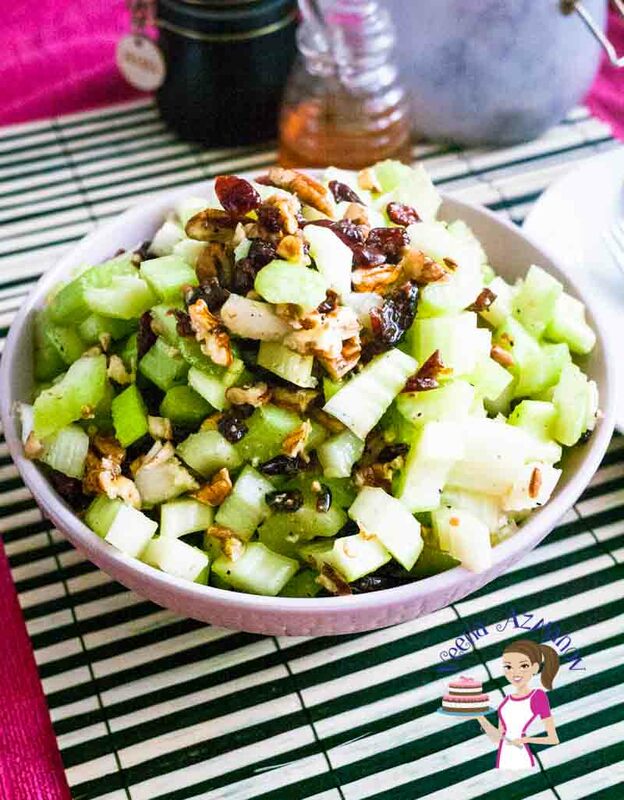 Honey – I love the soft sweetness of honey that really brings out the celery but if you prefer you could substitute with 1 tsp of sugar instead. Lemon Juice – again I prefer lemon juice but a good apple cider vinegar works just as well. 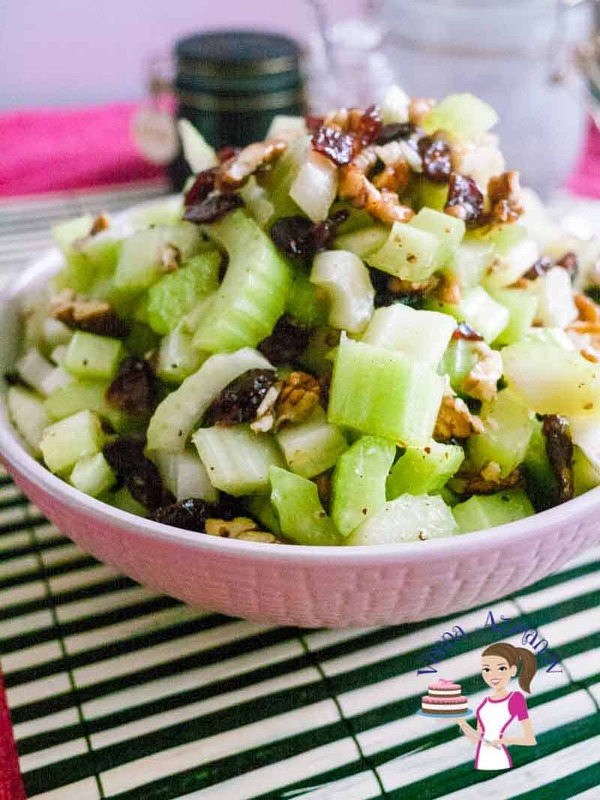 Pecan or walnuts – I personally am a bit Pecan person but walnuts go really well with celery. 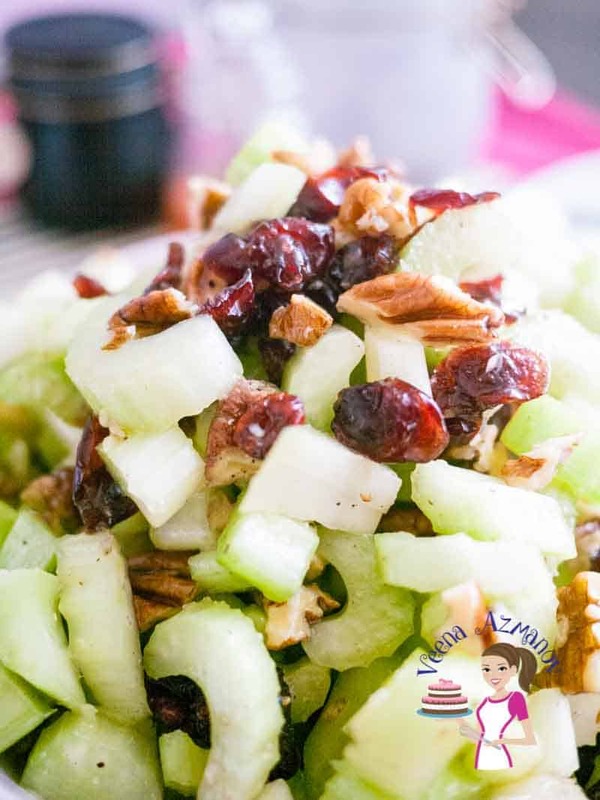 Cranberry – well, I love the sweet and tart quality that cranberry brings to this salad but you can use raisins or prunes as well. Don’t you just love a good salad recipe? Chop Celery into small pieces. I like to keep them bite size but the preference is yours. In a small bowl combine the Olive oil, lemon juice, honey, salt, and pepper. Place celery, cranberries, and nuts in a bowl. Let sit for 5 to 10 minutes before you serve. This salad looks and sounds really amazing. Flavorful and so healthy. I how you paired cranberries and celery. Delicious! Will give this salad a try really soon. Thanks, Natalie. Yes, the cranberries add a nice tart taste to the crunchy celery. What a great light salad perfect for summer. I’m really trying to add more veggies in my diet so this is a perfect addition to keep me on track. Thanks, Kelly. This is nice and crunchy and perfect in summer. I use celery so much in things like stews and braises but not so much in salads. This looks delicious though, I love a crunchy salad. Definitely going to try this when the weather heats up! Thanks, Elizabeth. 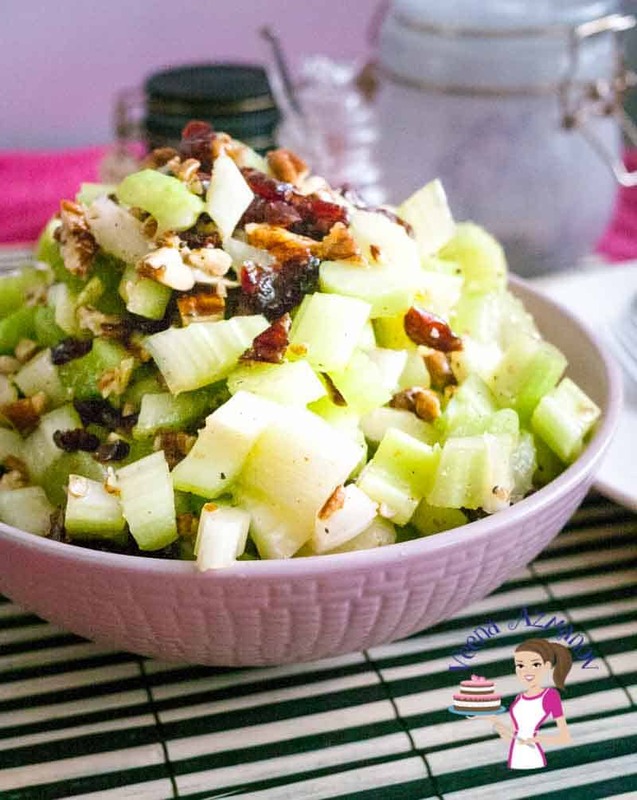 I love celery in soups and stews too but this salad is definitely one you must try. Thanks, Anita. Yes, this one is very versatile so yes, like the cranberries.. apples would add a nice tart-sweet taste just as well. Cranberries and pecans are two of my most favourite things. And the dressing is so healthy too. Love it! Thank you, Saima. Mine too. Love cranberries and pecans combination. Crunchy salads are the best and this salad would make a great side during the Holidays. The cranberries make it festive and I like the addition of the nuts and cilantro. The light vinaigrette is an ideal dressing for this salad. I’m pinning. Absolutely, Marisa. You will enjoy this. I love that crisp crunch celery provides! This would be a great side for the many upcoming barbecues when summer rolls around! Such a refreshing salad and right now we are relying entirely on salads, due to the heat. I should try your celery salad sometime soon. Thanks fro sharing! I think you will love it. Thanks Helene. What a great way to jazz up a celery salad. Love cranberries! Yum! 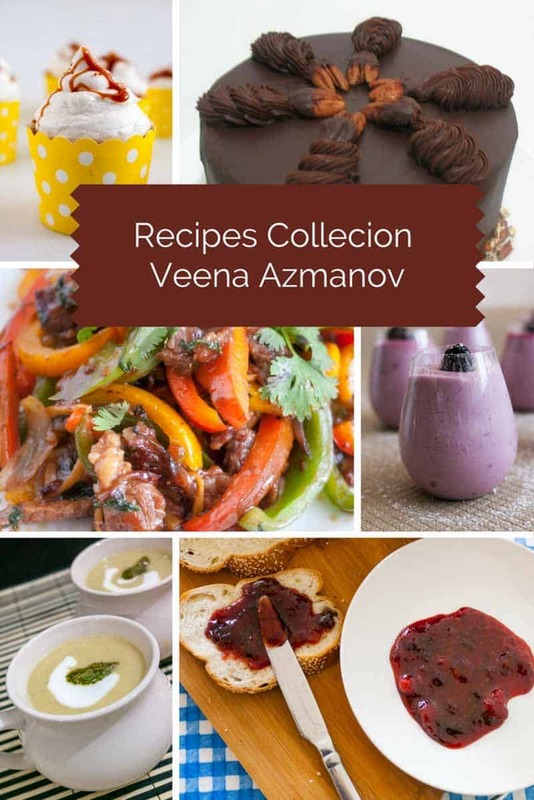 This looks like a great recipe to take and toss for lunch! Thank you for sharing! I love the combination of ingredients you’ve used. Delicious! Luci’s Morsels | fashion. food. frivolity. I love the crunch that celery brings to a salad!